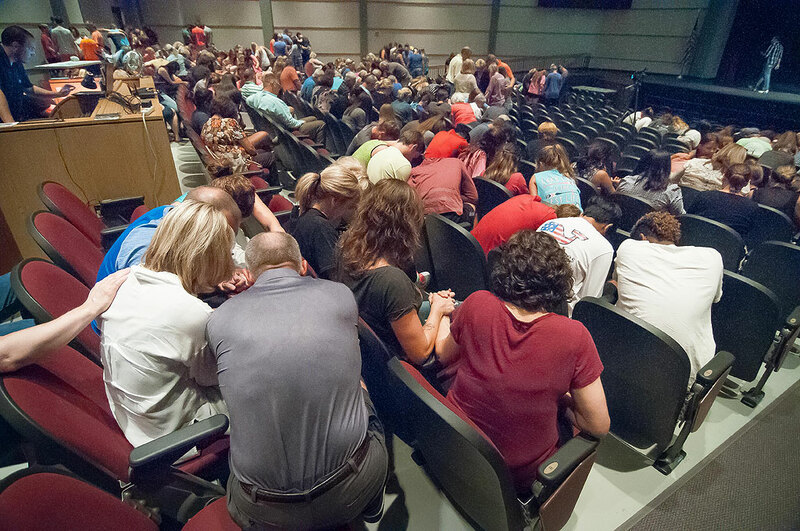 Although I don’t pray or believe in a deity, I appreciate the comfort prayer gave these members of my community Tuesday night as they gathered for vigil for two Ada teenagers injured in an accident Monday. In addition to physicians using super glue on my sister-in-law’s eye this week, I used some to try to temporarily seal a leak in a lawn mower fuel tank. Monday evening, two young ladies I know in our community were seriously injured in a two-vehicle accident; one of them is at OU Medical Center in Oklahoma City in critical condition as I write this. I covered a prayer vigil for them Tuesday night. Yesterday my wife Abby and I went to her hometown, Ryan, Oklahoma, to see her sister Gail, who has been suffering from shingles on her face, which involved her right eye. After lunch, Abby drove Gail to Duncan, Oklahoma to see her ophthalmologist, who urged them to go directly to OU Medical Center because her cornea was perforated, and some of her vitreous humor (eye juice) had escaped. Doctors there pondered for a long time about options, then glued the perforation with “super glue” (probably a medical version of such a product) and placed a contact-lens-like cover over it. They sent her home and are planning to perform a cornea transplant on Saturday. While we were there we ran into some friends from Ada who came to visit the injured girl in ICU. 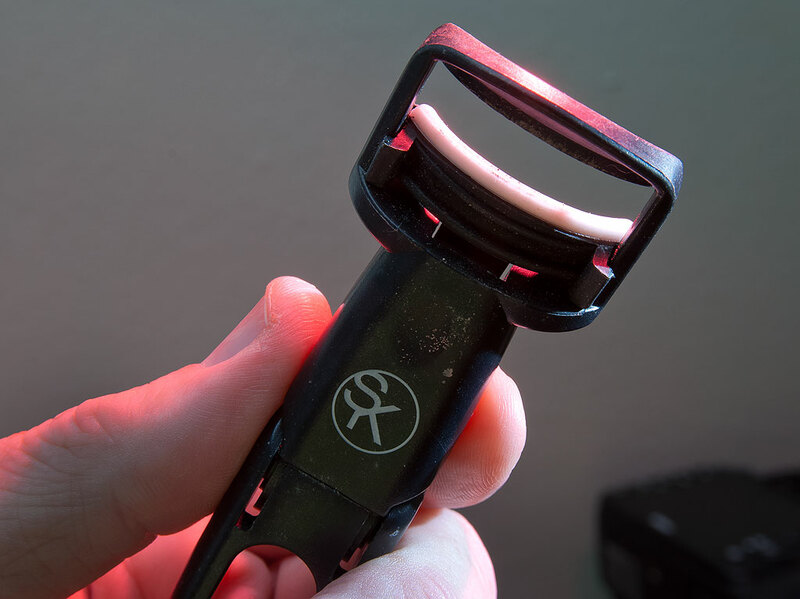 This is an eyelash curler. Picture it in reverse and used to pry open an eye socket. I’m getting a little icked out just writing about it. When they started the procedure and the doctor called for the orbital speculum, I was done watching. Heck, I can’t even watch my wife put in contact lenses. Both the situation with the crash victims and Gail’s situation were surrounded by social media’s worst trend: 300 people typing the word “prayers.” It’s worse than useless for two reasons. 1) Typing “prayers” isn’t a form of praying, and 2) it creates an unreadable thread that can interfere with the real information that needs to be communicated. We got home very late, and Abby is emotionally frazzled, so I took today off as well. Hopefully I’ll be able to get some things done around the house and the yard, preferably without incident. I am hopeful that I can get some of the stuff I bought at Ham Holiday Saturday put into service today. 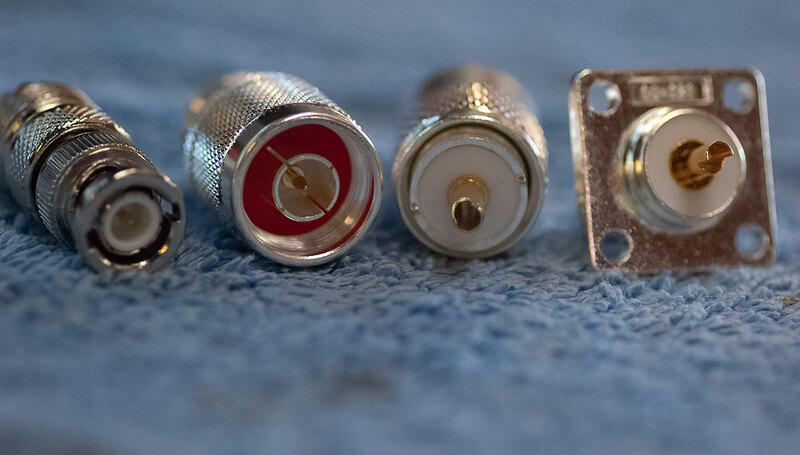 These connectors are, from left to right, a BNC to PL-259, an N to PL-259, a solderable PL-259, and a chassis-mount SO-239. The words “eye juice” made me throw up in my mouth a little. Poor Gail. I think that even in the days of my most fervent Christianity, I would have despised the ritual typing of “prayers” on social media. I had no idea Abby grew up in Ryan. My mother’s family, the Wallings, are from Ryan. I hope Gail, Abby, and you recover soon so you can enjoy some fish at Doug’s Peach Orchard down the road in Terrel.